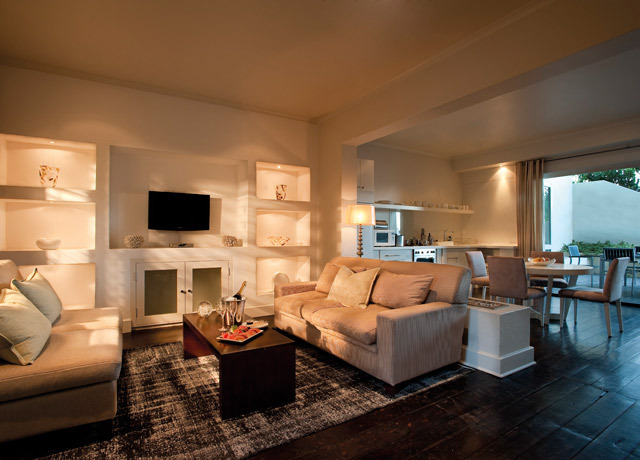 This private custom extension provides you the choice of the best hotels in Cape Town. Explore the options and call 800-543-8917 to discuss details with one of our Adventure Specialists. Adjacent to the Redcliffe House, this boutique hotel maintains a level of quiet and comfort while still providing convenient access to the exciting and trendy area that surrounds it. 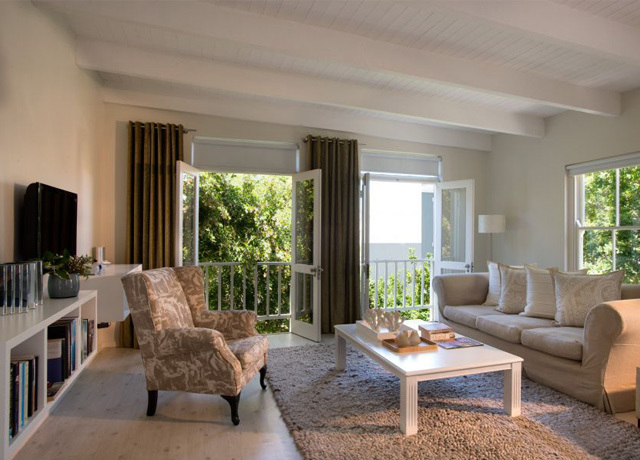 This luxury boutique hotel is situated at the foot of Table Mountain in the heart of the “Capetonian’s” Cape Town, away from tourist congestion. Just off lively Kloof Street in the Gardens district, More Quarters enjoys a peaceful location in one of Cape Town's trendiest close-in suburbs. Apartment-style suites provide airy, spacious and private accommodations, yet with all the service you would expect of a fine hotel. Fifteen are 1-bedroom apartments, while three 2-bedroom suites offer plenty of space for a small family or party of four. Guest living spaces are appointed with chic, neutral-toned decor, and each has a lounge, kitchen area and en suite bathroom with deep soaking tub. Most have a private balcony or courtyard. The apartments also have air conditioning, satellite television, electronic safe, direct-dial telephone, hair dryer, complimentary Wi-Fi access and a range of deluxe amenities. A deluxe buffet breakfast is served each morning. Steps away, you'll find trendy boutiques, art galleries, design shops, cafes and neighborhood bars. Table Mountain, Clifton Beach and the V&A Waterfront are each just 10-15 minutes away. The Victoria & Alfred Hotel is located in the heart of the V&A Waterfront, a recently restored section of Cape Town's working harbor that is now one of the country’s top visitor attractions. The Victoria & Alfred Hotel is located in the heart of the Victoria & Alfred Waterfront, a recently restored section of Cape Town's working harbor that is now one of the country’s top visitor destinations. Built in 1904 as the North Quay Warehouse and converted in 1990 to a luxury hotel, the V & A is named in honor of the Queen of England and her son, who visited the Cape in 1870 when Prince Alfred officially opened the breakwater basin, today’s Victoria & Alfred Waterfront. Guests feel the ambience of colonial Cape Town the moment they step into the foyer, then relax in elegant, contemporary rooms that marry the genteel atmosphere of old with every modern luxury and convenience. The hotel offers 94 spacious, air-conditioned en suite rooms on three floors, with all the amenities one would expect of a renowned world-class hotel. Situated on the West Quay of Cape Town's Victoria and Alfred Waterfront and overlooking the new international yacht basin, the Cape Grace occupies the most coveted position on the harbor. An esteemed member of Small Luxury Hotels of the World, the Cape Grace sits on a private quay within Cape Town's lively Victoria and Alfred Waterfront overlooking the international yacht basin—arguably the most coveted position in the city. 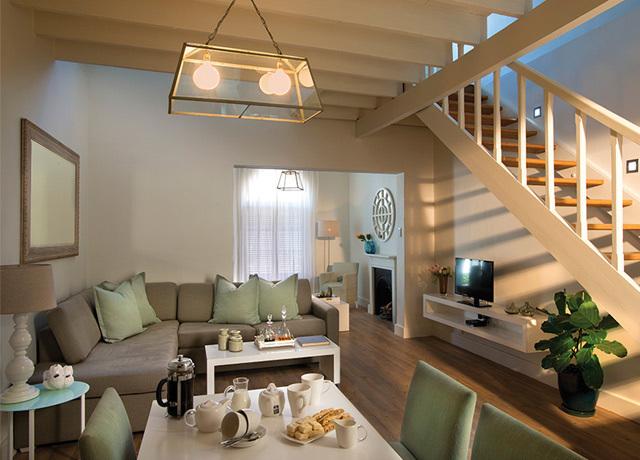 Each one of the 120 uniquely designed guest rooms reflects the charm of the Cape region's heritage, inviting travelers to discover and connect with the history and culture of this fascinating region. Ship manifests, rare Cape Dutch antiques and local artist renditions of Cape botanicals have been sourced piece by piece to create a decorative tapestry of vintage texture and contemporary style. The hotel occupies its own promontory surrounded by water on three sides, with all rooms opening to views of Table Mountain, the yacht marina or the working harbor. A host of genteel amenities greets discerning guests at the Cape Grace, from coffee and tea service with your wake-up call, to Port and sherry served each evening in the library. Guest rooms are lavishly appointed, with reading and dressing areas, French doors opening onto a Juliet balcony, fresh flowers, fine linens, luxurious marble bathrooms with separate bath, shower and toilet plus robe and slippers, satellite TV, international outlets for charging electronics, tea and espresso machine, electronic safe and fully stocked mini bar. Dine on inspired dishes infused with local flavors at Signal Restaurant, indulge in tiers of treats at the hotel's time-honored Afternoon Tea, and savor world-class whiskeys and the best South African wines at Bascule Bar. 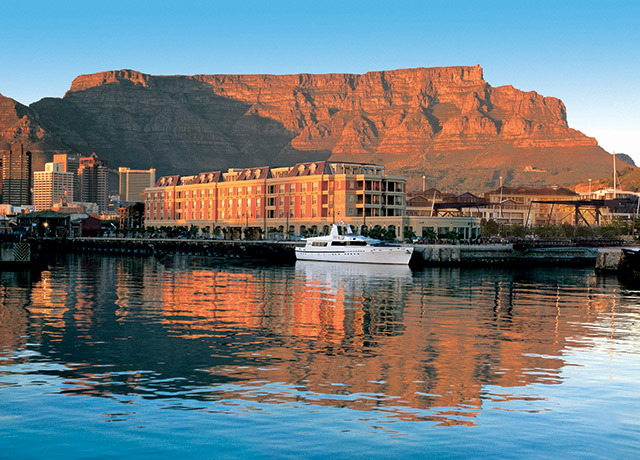 As the Cape Grace is situated in the heart of the V&A Waterfront, activities abound just outside your door. The wharf is abuzz with shops, restaurants, bars and cinemas, and the hotel is just a few minutes from the city center. It is also within easy reach of Cape Town's art galleries, museums, botanical gardens, wine farms and beaches.